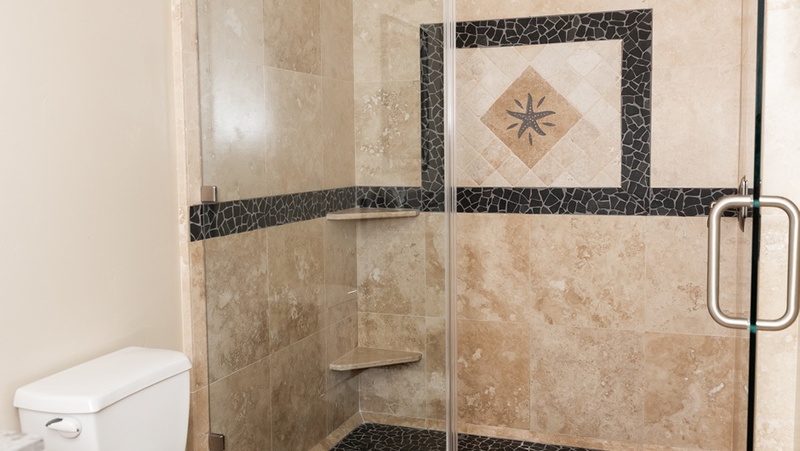 Relaxing beach cottage styling and luxurious oversize bathrooms capture the relaxation of the California coast. 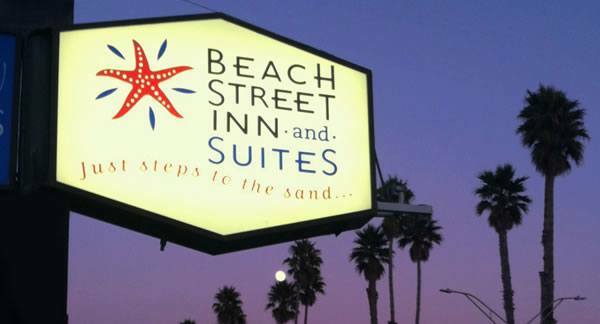 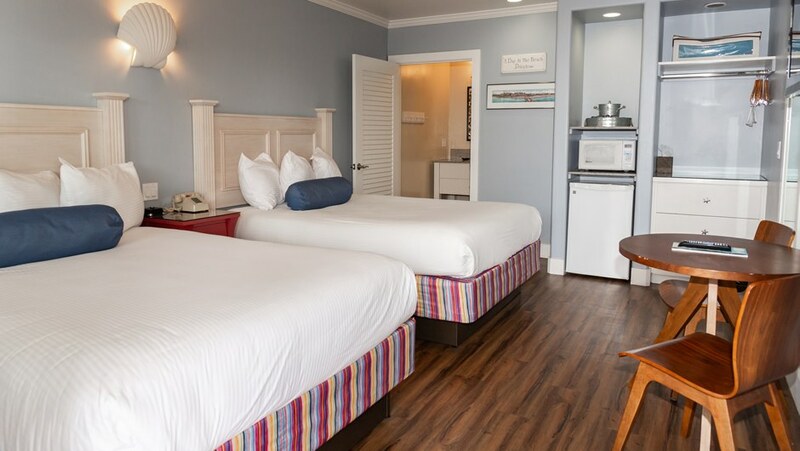 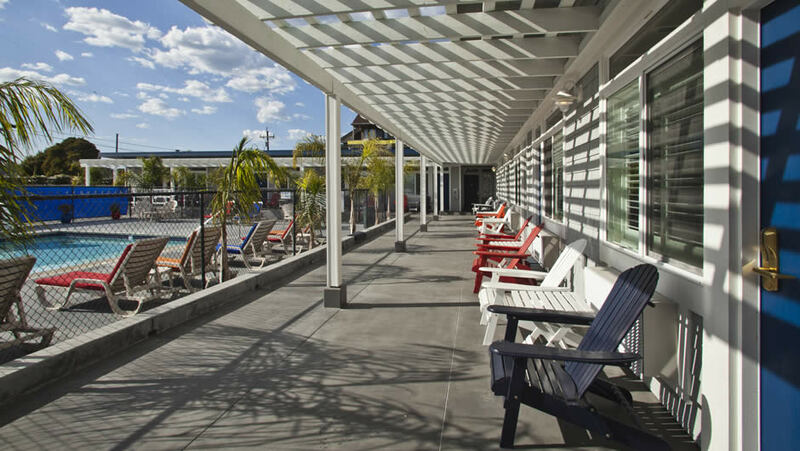 Located by our heated outdoor pool, each room features 2 queen size beds, large flat screen TVs, complimentary wireless internet and phone calls. 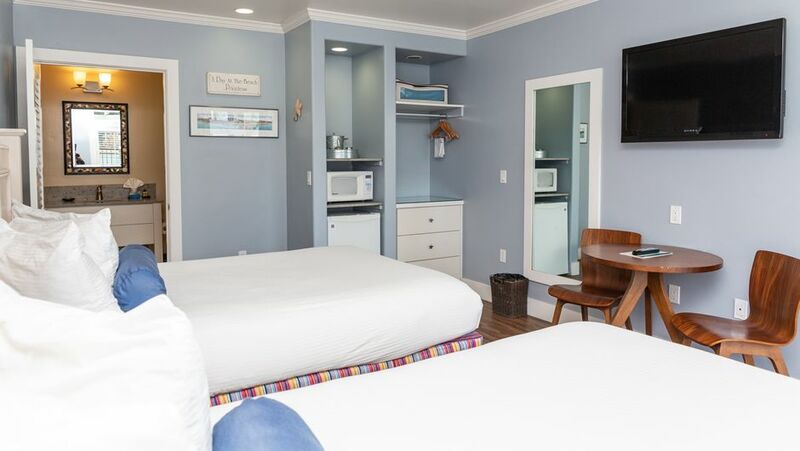 These rooms are equipped with a small refrigerator and microwave.